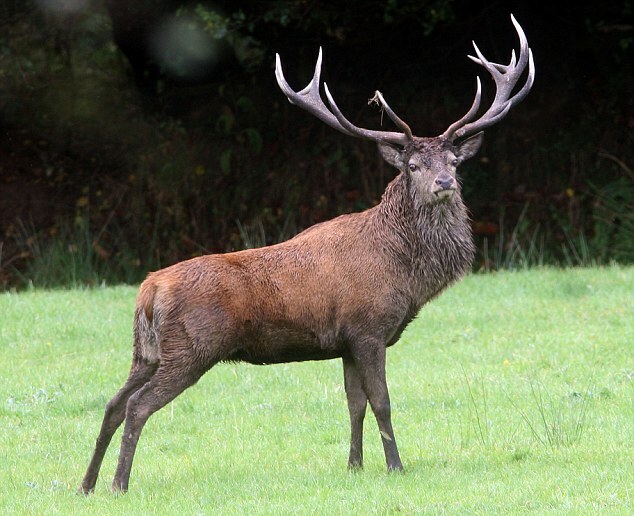 This month a red deer was crowned as Emperor of Exmoor and Britain’s largest wild animal in a series of newspaper articles. Today, it’s emerged that the deer has been shot by a hunter willing to pay the presumably high price on the hunting rights. When Richard Austin, the photographer that took the pictures for the articles, was asked if he felt responsible, he said that he always believed the size of the deer’s antlers would get him killed in the end. The Emperor’s antlers may have kept other deer away, but it attracted far deadlier predators. Humans have been breeding animals – and killing them – for sport for a long time, but it’s only recently that prize targets can be advertised so widely. The size of the antlers may be a product of sexual selection, but now cultural processes are counteracting this. The Emperor was even killed during the mating season, unable to pass on its genes. If you’re a deer, it’s maybe best to stay mid-size rather than risk the growing threat of trophy-hunting. I’m sure the deer reading this website will be very grateful for your advice 😀 . whoever wrote it in the previous blog URL, i would love to see an expansion on the “linguistics in hip hop” thought – if any of you guys speak French: MC Solaar is one hell of a “wordsmith”. I always wondered if MC Solaar was any good: I like listening to his stuff, especially some of his earlier jazz rap, but, sadly, I don’t really understand French… Certainly not at any level to appreciate the wordplay. But, yes, an expansion on linguistics in hip hop (albeit the English variety) is on cards at some point in the near future.